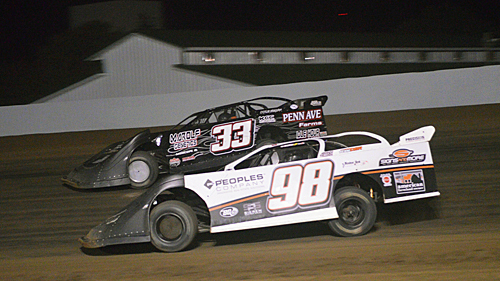 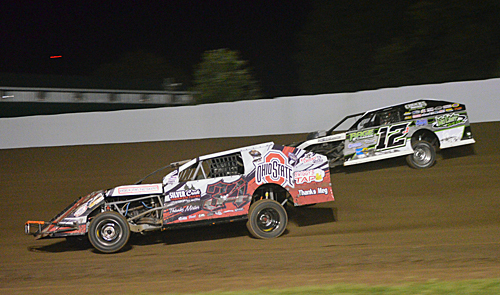 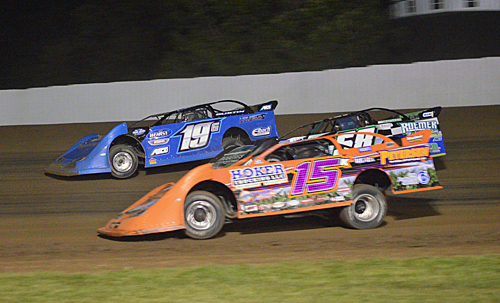 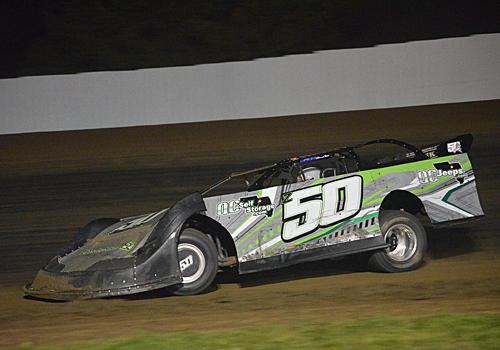 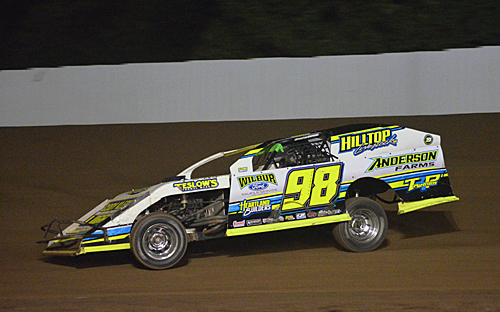 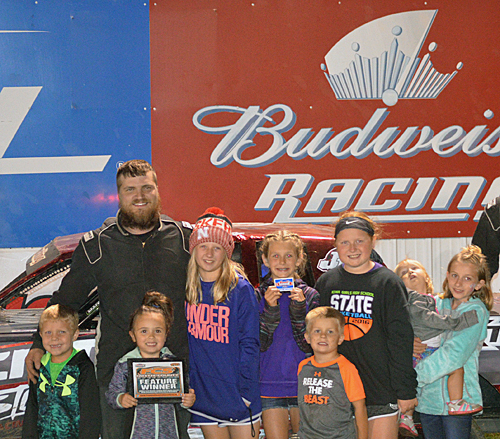 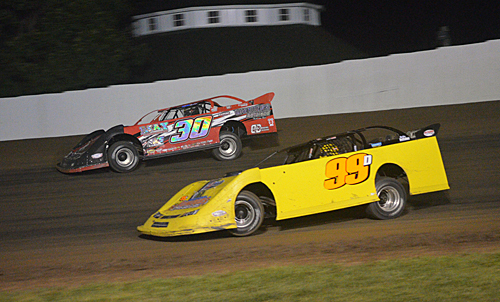 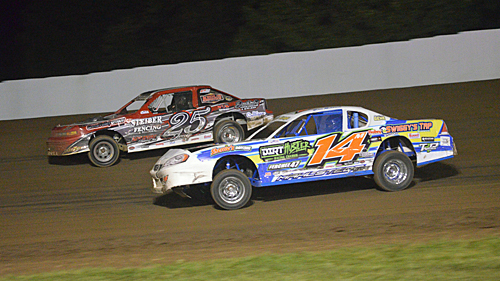 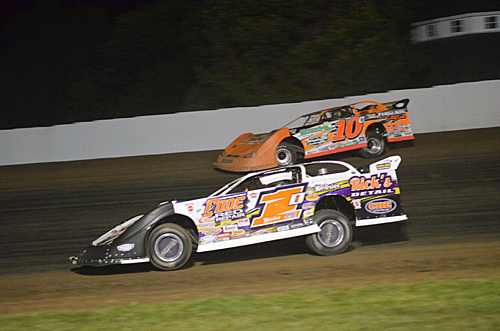 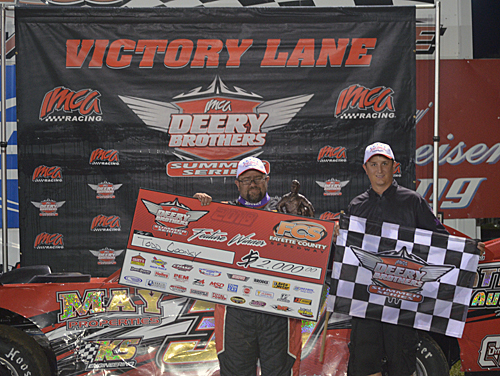 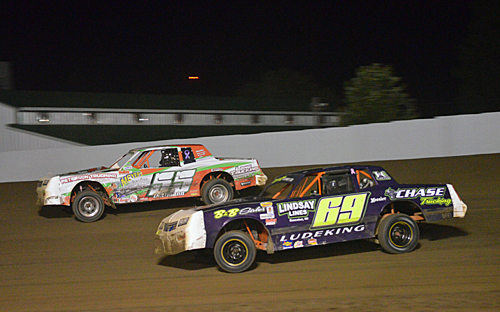 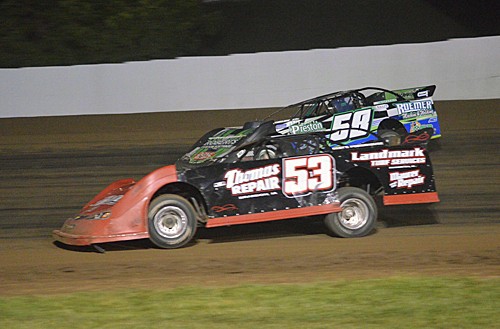 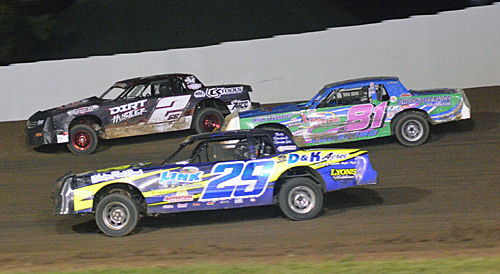 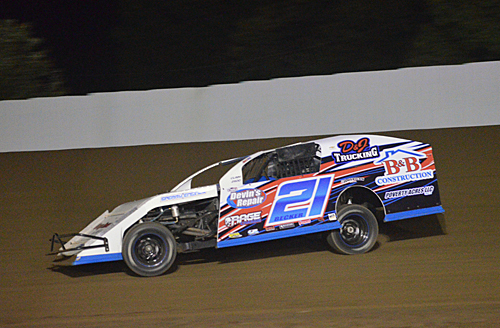 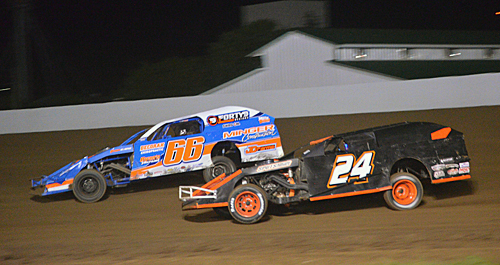 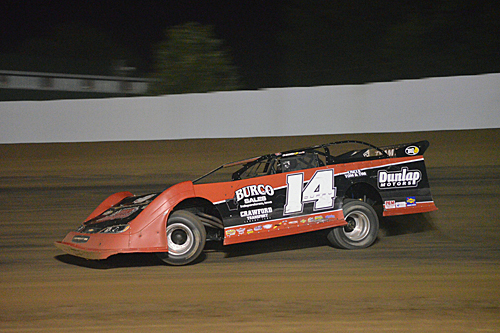 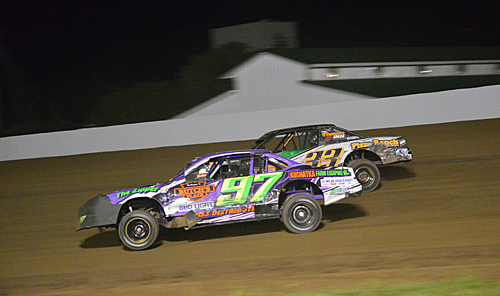 Todd Cooney of Pleasant Hill, IA, won the 40-lap Deery Brothers Summer Series for IMCA Late Models at the Fayette County Fair on Wednesday night. 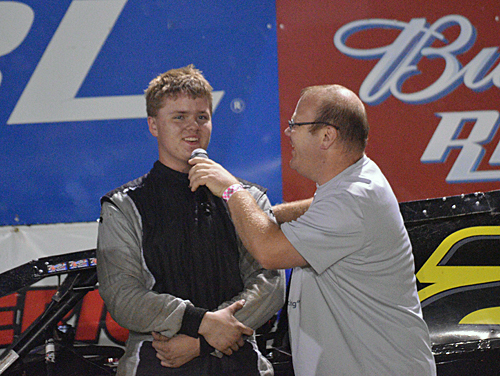 Announcer Kyle Bentley interviews a happy Brandon Maitland of Waterloo, IA, after he won the USRA B-Modified feature on Wednesday night. 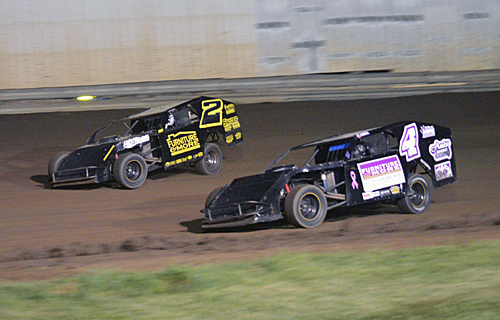 Family squabble - Ryan Maitland #4 battles his brother Brandon Maitland #2 in the USRA B-Modified feature. 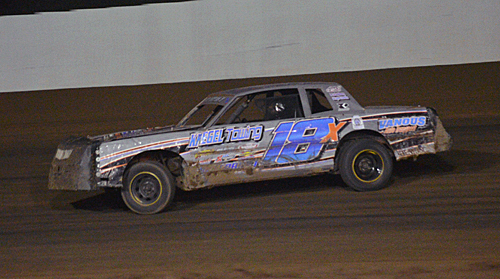 Mitch Hovden of Decorah, IA, score the victory in the USRA Stock Car A-main on the 3/8-mile. 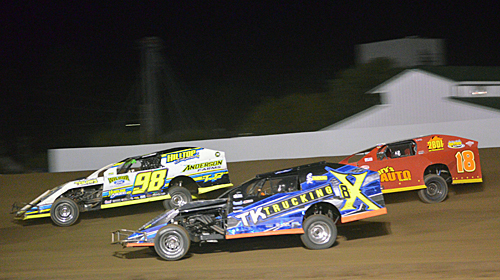 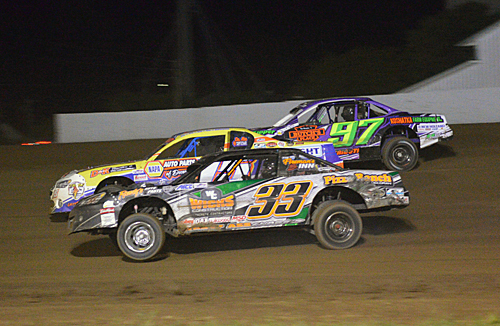 Kevin Donlan #33, Mitch Hovden #15 and Lynn Panos #33 go three-wide. 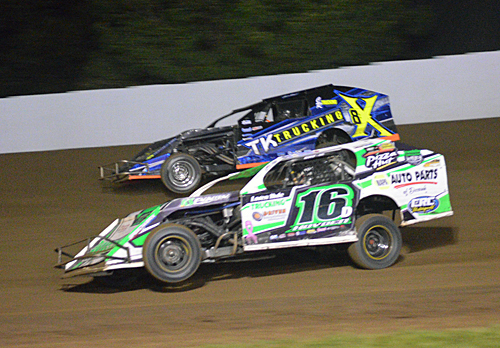 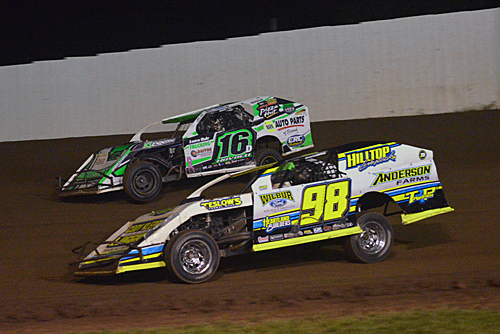 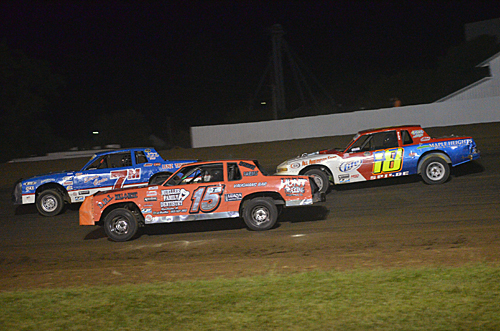 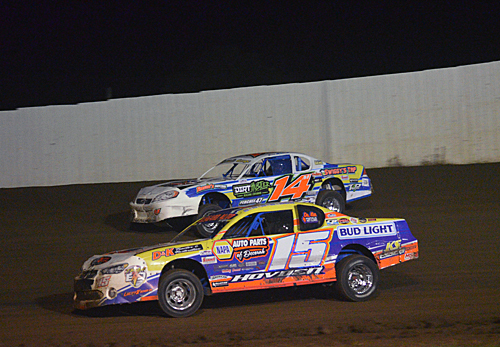 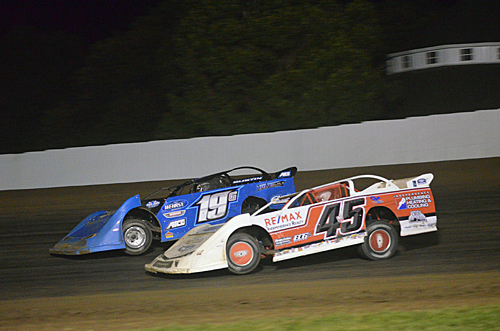 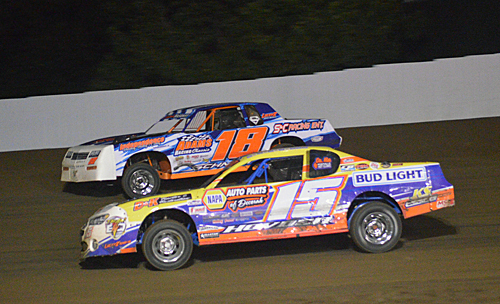 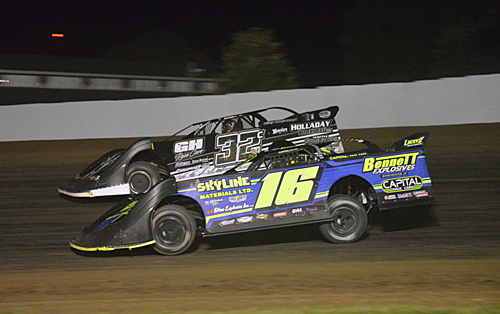 Mitch Hovden #15 and Tom Schmitt #18 would race side-by-side for much of the USRA Stock Car encounter before Hovden finally prevailed. 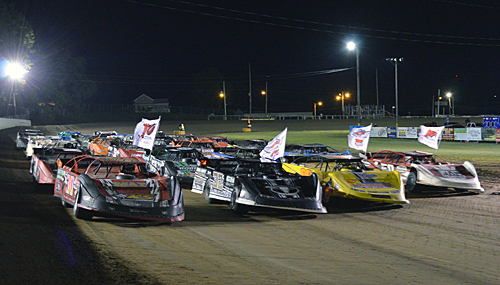 The IMCA Late Models make their four-wide salute to the fans before the start of their 40-lapper. 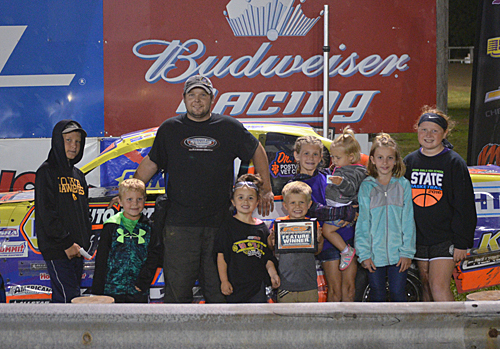 Justin Lichty of Waterloo, IA, won an exciting USRA Hobby Stock feature at the Fayette County Fair. 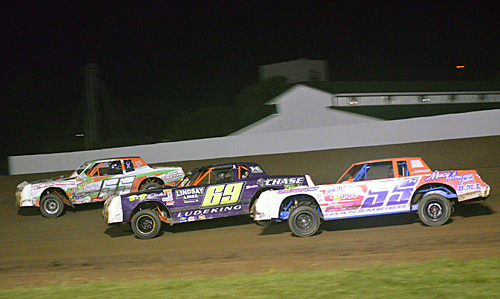 You could've covered Justin Lichty #266, Brady Link #29 and Joshua Ludeking #81with a blanket during the final few laps of the USRA Hobby Stock feature.